Which three countries are participating in the 2016 MALABAR exercise? On June 9, the United States, India, and Japan kicked off the annual exercise Malabar 2016. The Malabar exercises, which initially began as a bilateral naval exercise between the United States and India back in 1992, have been the subject of interest over the past few years because of their potential for expansion. Last year, Japan participated together with Washington and New Delhi in October as part of a longstanding effort to get Tokyo involved as a permanent member (it had previously joined in 2007, 2009 and 2014 as well). Australia’s inclusion has also been mooted (See: “US Official Calls for Permanent Expansion of Malabar Exercises With India”). Why was Port Morseby, Papua New Guina, in the news recently? Early last week officers from Papua New Guinea’s police force opened fire on a crowd of university students in Port Moresby. Conflicting reports from the media suggests that either the university students were hampering a police attempt to arrest the head of a student union or that the students were engaged by police as they were travelling to deliver a petition to PNG’s Prime Minister Peter O’Neill. Conflicting reports have also been published, some stating that there have been deaths while others indicate that only injuries have been sustained. Regardless of the exact details relating to the incident there are several factors that are undeniably present. What are India’s adivasi people? On June 5, violence broke out in Aktobe, a prominent oil town about 100 kilometers from the Russian border. According to the Astana Times, citing Sadubayev, the first gun store was attacked at 2:45 pm local time. An hour later a second gun shop was attacked and another group of attackers assaulted a National Guard facility. A clerk and a security guard were killed at the first gun store, where three policemen were also wounded. At the second store, a customer was reportedly killed before police shot three of the attackers dead. The attackers stole a commuter bus, offloaded the driver and passengers, and then rammed it into the gates of an National Guard base. Three servicemembers were killed along with one attacker. Reportedly seven of the attackers were detained. What did a Chinese Navy frigate do for the first time last week in the East China Sea? Early on Thursday, a Chinese Navy frigate entered the contiguous zone adjacent to the 12 nautical mile Japanese territorial sea around the disputed Senkaku/Diaoyu Islands in the East China Sea. The frigate left the zone from around Taisho Island, another part of the Senkakus, at about 3:10 a.m. and headed north, the ministry said, adding there was no intrusion into Japanese territorial waters. While Chinese Coast Guard vessels have previously entered the contiguous zone near the Senkakus, which are administered by Japan, this is the first time China has sent a military vessel into the area. It is unclear if the Chinese frigate engaged in any provocative behavior while in the contiguous zone. Under the United Nations Convention on the Law of the Sea, which both Japan and China have ratified, military vessels are permitted legal passage through territorial waters provided they comply with innocent passage requirements, which prohibit a range of activities, including intelligence gathering. 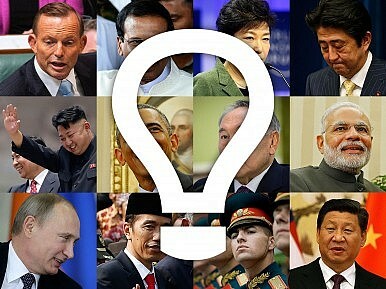 Which Asian leader addressed a joint session of the U.S. Congress last week? Which two countries share the Torkham border crossing? Which Asian country was confirmed recently to be using armed drones for counter-insurgency for the first time? Earlier this week, IHS Jane’s Defense Weekly confirmed Myanmar’s deployment of armed drones in counterinsurgency roles. Specifically, the Myanmar military is using the drones to enable ongoing counterinsurgency operations in the country’s restive northern areas, where multiple armed groups operate. The drones are Chinese-made CH-3As, built by China Aerospace Long-March International, a division of the state-owned China Aerospace Science and Technology Corporation (CASC). Which of the following countries is not a part of Melanesia? What did the U.S. Navy in Japan prohibit all its sailors from last week? On Monday, the U.S. Navy in Japan ordered all sailors to remain on their bases, and imposed a ban on alcohol consumption on- and off-base. This applies not only to sailors based in Japan, but also those transiting through the island country. Though the Navy does not have the authority to impose this order on civilian contractors or family members, they are asking for a voluntary observation of this restriction.